This file contains information about problems that may occur while running Windows Setup and describes problems that can occur when using terminate-and-stay-resident (TSR) programs or drivers with Windows or Windows Setup. If you are using a TSR or if you encounter problems setting up Windows version 3.1, read this document BEFORE running Setup again. This section includes notes on specific system configurations that may prevent Setup from installing Windows successfully. A solution to each problem is provided. If you are using a hardware or software product listed here, follow the proposed recommendations before running Setup. If you are using an MS-DOS screen saver, you should disable it before running Setup. These screen savers can cause problems when running Setup. Note: If you are using the COMPAQ version of MS-DOS 5.0, HIMEM.EXE is used in place of HIMEM.SYS and CEMM.EXE is used in place of EMM386.EXE. If ANSI.SYS is loaded before HIMEM.SYS or EMM386.EXE (or if you are using COMPAQ MS-DOS 5.0 before HIMEM.EXE or CEMM.EXE), Setup may restart your system before Windows is installed. Also, if you are using the DOS=HIGH,UMB command line to load MS-DOS into upper memory, loading EMM386.EXE (or CEMM.EXE) before loading ANSI.SYS will create the maximum amount of upper memory space on a COMPAQ computer. If you have an AT&T Safari computer, you cannot maintain two versions of Windows (version 3.0 and version 3.1) on your system. You must upgrade over version 3.0. 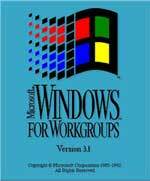 If you set up Windows 3.1 in its own directory, Windows will not use the special drivers required for it to run on the Safari computer. If you are using the TIGA display driver, you must load the TIGACD.EXE MS-DOS driver manually before running Setup to upgrade Windows. Otherwise, Windows will not upgrade your system properly. After successfully setting up Windows, you can increase the amount of conventional memory available to non-Windows applications when Windows is running in 386 enhanced mode by loading TIGACD.EXE from the WINSTART.BAT file. The WINSTART.BAT file runs only in 386 enhanced mode. If you want to run Windows in standard mode, you must load TIGACD.EXE manually. For more information, see the README.WRI online document. Certain display adapters can cause problems with Windows version 3.1. The most serious problem is a system failure while running Windows Setup. If you encounter this problem, run Custom Setup, and then select one of the standard display types, such as VGA, provided with Windows version 3.1. With other display drivers, Windows may be set up successfully but TrueType fonts may not appear correctly on your screen. An updated driver may be available in the Windows Driver Library or from your display vendor or manufacturer. For information about obtaining the Windows Driver Library, see "Getting Started with Microsoft Windows." NOTE: These adapters are 8514/a-compatible and run well with the 8514/a driver provided with Windows 3.1. NOTE: Some DGIS-based adapters are TIGA-compatible and run well when used with the appropriate TIGACD.EXE MS-DOS driver and with the TIGA driver provided with Windows 3.1. If you are using Stacker to compress your hard disk, there are certain steps you need to take before setting up Windows. * If you want to use a swap file with Windows, you must set up the swap file on the uncompressed drive. When setting up Stacker, you can leave at least 1 megabyte (MB) of disk space uncompressed for storing system files. To leave enough space for the swap file, it is recommended that the amount of uncompressed disk space equal at least twice the amount of system memory. For example, if your system has 4 MB of memory, you should leave at least 8 MB of disk space uncompressed. If Stacker is already set up on your system and there is not enough uncompressed disk space for a swap file, you can run the STAC utility provided with Stacker to increase the amount of uncompressed disk space. For more information, see your Stacker documentation. * If you are using Stacker version 2.0 or later, Windows Setup modifies your CONFIG.SYS and AUTOEXEC.BAT files. When Setup is finished making the modifications, it displays a message at the end of the Windows portion of Setup notifying you of the modifications. If you have used Stacker to swap your startup drive, when you restart your system Stacker will ask whether you want to update to the new version of the CONFIG.SYS or AUTOEXEC.BAT file. It is recommended that you update. If you are using a version of Stacker earlier than 2.0, you may need to modify your CONFIG.SYS and AUTOEXEC.BAT files yourself. For more information, see "Modifying Your CONFIG.SYS and AUTOEXEC.BAT Files Yourself," following this topic. * For best performance, do not use SMARTDrive to cache the compressed drive. You only need to cache the uncompressed drive. You can include options on the SMARTDRV.EXE line of the CONFIG.SYS file to specify which drives to cache. For more information about swap files and using SMARTDrive, see Chapter 14, "Optimizing Windows," in the "Microsoft Windows User's Guide." - Your boot drive has been modified by a disk-compression utility. - Your CONFIG.SYS file contains references to block device drivers. - There is not enough available space on your hard disk to copy the files. - The files are already installed on your system and Setup cannot overwrite them (they are read-only). Instead, Setup writes proposed changes to the CONFIG.WIN and AUTOEXEC.WIN or the CONFIG.00x and AUTOEXEC.00x files. In this case, you must either move the HIMEM.SYS, SMARTDRV.EXE, and EMM386.EXE files to a drive that is available when you start your computer, or use a text editor to modify your CONFIG.SYS or AUTOEXEC.BAT file so that any references to HIMEM.SYS, SMARTDRV.EXE, and EMM386.EXE appear after the device= command line used to load the drivers for your disk drives. Refer to the CONFIG.WIN and AUTOEXEC.WIN or the CONFIG.00x and AUTOEXEC.00x files for the proposed changes. If you have a PS/2 model 75 or 90 with an XGA, Windows Setup will configure the display adapter for 16-color, 640x480 resolution. Do not change this configuration during Setup. Specifying a different XGA configuration while setting up Windows may cause Setup to fail. After you have successfully installed Windows, you can configure your XGA to use a different resolution or 256 colors, if your monitor supports it. For more information on how to do this, see the topic "IBM XGA" in the README.WRI online document. If you are using the plasma screen on the PS/2 model 75, use ONLY the 640x480, 16-color configuration. If you change this configuration, you will be returned to the MS-DOS prompt when you try to start Windows. * Increase the size of your environment by adding the SHELL= command line to your CONFIG.SYS file. See your MS-DOS documentation for more information about the SHELL command and modifying your CONFIG.SYS file. * Move the SET commands in your AUTOEXEC.BAT file to the beginning of the file so that they run before the commands that load terminate-and-stay-resident (TSR) programs or drivers, such as SMARTDrive. If you have a network installed and Setup specifies "No Network" in the System-Information screen, Setup is not able to detect your network. For Setup to detect certain networks, the directory that contains the network program files must be included in your path. * Add the directory to the PATH line in your AUTOEXEC.BAT file. * Run Custom Setup and specify the full path for your network in the System-Information screen. The Program Listing section of this document lists several terminate-and-stay-resident (TSR) programs and drivers that are known to cause problems when running with Windows version 3.1. Some of the problems you may encounter include system failures or an incorrect display of information on your screen. In some cases, special steps are provided to solve the problems. While setting up Windows version 3.1, Windows Setup searches the AUTOEXEC.BAT and CONFIG.SYS files for references to TSR programs and drivers, in addition to scanning memory for TSRs that are currently running. If Setup detects a TSR that is known to cause problems when running with Windows version 3.1, a message appears, asking whether you want to continue or quit Setup. 1. Locate your TSR in the Program Listing section of this document and use the information to determine if the situation encountered prevents Windows Setup from successfully installing Windows 3.1. 2. If the situation does not affect Windows Setup, you can continue setting up Windows 3.1 by following the instructions on your screen. If the situation does affect Windows Setup and prevents it from installing Windows on your computer, follow the instructions on the screen to quit Setup, and then complete the following steps. 3. Quit the TSR and remove all references to it from your AUTOEXEC.BAT and CONFIG.SYS files. For more information, see the documentation for your TSR. 5. Run Windows Setup again. After Windows is successfully set up, you may want to restore your TSRs. Not all TSRs or drivers included in the Program Listing section are detected by Setup. The TSRs and drivers that Setup detects are in the SETUP.INF file, listed under the names "incomptsr1" and "incomptsr2". This section describes some problems, discovered during testing, that you might encounter while using a TSR with Windows version 3.1. It does not include all possible problems that can occur. The documentation for 386MAX recommends against setting the EXT parameter below 64. If you set this parameter to 0, Windows Setup and Windows running in standard mode will fail. See the README.WRI online document for more information about running 386MAX with Windows 3.1. Do not use this disk-cache utility simultaneously with SMARTDrive. There is no reason to use two disk-cache utilities with Windows. It is recommended that you use SMARTDrive, which is installed with Windows 3.1, instead. ALLEMM4.SYS is a memory manager that causes problems with Setup and Windows 3.1. If you encounter problems running this program with Windows, it is recommended that you use EMM386.EXE and HIMEM.SYS, provided with Windows 3.1, to manage memory instead. With some memory configurations, Anarkey version 4.00 running with Windows 3.1 in 386 enhanced mode may cause unpredictable system failures. In rare cases, this program can also corrupt hard-disk data. In addition, Windows 3.1 might not start when this program is running. Do not run Windows 3.1 in 386 enhanced mode when Anarkey version 4.00 is running. Version 4.01 may correct these problems. Contact Moderne Software for a free upgrade of Anarkey 4.01. If Anarkey version 4.01 is loaded before starting Windows in standard mode, it is not available in any MS-DOS Prompt that you start from Windows. In this case, it is recommended that you load Anarkey from each MS-DOS Prompt, as needed. Do not load Anarkey HIGH before starting Windows in 386 enhanced mode. If you load Anarkey HIGH, your system may fail when you try to start an application. This product is a virus-protection program that can cause problems when running Windows Setup, including system failure, automatic restarting of the system, and the inability to use the keyboard. You should turn off protection in the toolkit before setting up Windows 3.1. For information about how to do this, see your ASP Integrity documentation. NOTE: Setting up Windows is considered a system-administration task. The ASP Integrity Toolkit documentation instructs you to turn off protection when performing these types of tasks. Autocon enables you to select up to fifty different configurations when starting your system. To do this, it modifies the CONFIG.SYS and AUTOEXEC.BAT files, based on information in its database (AUTOCON.DAT), when you restart your system from within AUTOCON. Windows Setup modifies only the first section in the CONFIG.SYS and AUTOEXEC.BAT files. If you want to use specific configurations with Windows, you must run Autocon and then manually edit the configurations in the database that you want to use. You must do this after setting up Windows. For your changes to take effect, you must restart your system from within Autocon. For more information, see your Autocon documentation. Using Bootcon, you can maintain different system-configuration information in your CONFIG.SYS and AUTOEXEC.BAT files. You can then select the configuration you want to use from a menu when starting your system. Windows Setup modifies only the first section in the CONFIG.SYS and AUTOEXEC.BAT files. You must edit the sections of those files that contain the configurations you want to use after you set up Windows. For more information, see your Bootcon documentation. Using BOOT.SYS, you can maintain different system-configuration information in your CONFIG.SYS and AUTOEXEC.BAT files. You can then select the configuration you want to use from a menu when starting your system. Windows Setup modifies only the first section in the CONFIG.SYS and AUTOEXEC.BAT files. You must edit the sections of those files that contain the configurations you want to use after you set up Windows. For more information, see your BOOT.SYS documentation. Using CED with Windows 3.1 may cause problems, including system failure. It is recommended that you do not use CED with Windows 3.1. VSAFE.COM/VSAFE.SYS should not be loaded when you set up Windows 3.1. Otherwise, Setup may not run properly. After you set up Windows 3.1, you can load VSAFE. Because Windows uses the disk for memory swapping, you should turn off the VSAFE write-protection option when running Windows. For more information, see the Central Point Anti-Virus documentation. If this command-line editor is loaded before starting Windows, it may cause a General Protection Fault when running multiple MS- DOS Prompts in 386 enhanced mode. Also, it cannot be loaded from an MS-DOS Prompt within Windows when Windows is running in standard mode. When using Cubit with Windows 3.1, do not compress the Windows SYSTEM directory or any file that is loaded from the CONFIG.SYS file. Compressing these files could cause problems. Before upgrading to Windows 3.1, make sure that the earlier version of Windows is uncompressed on your hard disk. You may recompress the files after you have successfully set up Windows 3.1. It is recommended that you do not set up Windows while VirALERT is running. If you do, VirALERT will display a warning message every few seconds while Setup is running. After you have set up Windows, you can run VirALERT. Press ALT+V to display the VirALERT menu. You can use the commands on this menu to disable and enable VirALERT. The DOSCUE command-line editor produces unexpected results when used with Windows version 3.1. It is recommended that you do not use this editor with Windows 3.1. Windows 3.1 may try to access "phantom" disk drives if you use Doubledisk with Windows 3.1. Phantom drives occur when you use Doubledisk to create a compressed drive. For example, if you have drives A, B, and C on your computer and you use Doubledisk to create drive F, Windows 3.1 (and MS-DOS) recognize drives D and E as valid drives, even though they do not actually exist. You can use the DRVOFF utility to prevent Windows from recognizing phantom drives. Contact Vertisoft to order a copy of the DRVOFF utility. FASTOPEN is a RAM resident utility. Problems involving the file allocation table (FAT) may occur if FASTOPEN is used together with disk de-fragmenting utilities. In low-memory situations, you may need to remove FASTOPEN for Windows 3.1 to run properly. Loading Graphics from an MS-DOS Prompt within Windows can cause unexpected results when printing. The active MS-DOS Prompt will send its output to the printer. Switching between MS-DOS Prompts may result in mixed printing jobs. These expanded-memory managers are incompatible with Windows when it is running in 386 enhanced mode. If you plan on running Windows in 386 enhanced mode, it is recommended that you use EMM386.EXE to manage memory instead. When HPMM.SYS is running, you cannot set up Windows 3.1 or run it in standard mode. You should remove all references to HPMM.SYS from your CONFIG.SYS and AUTOEXEC.BAT files before setting up Windows 3.1. VDISK.SYS is incompatible with Windows because it occupies extended memory required to run Windows. This utility prevents any XMS-compatible memory manager from loading. The IEMM.SYS memory manager is incompatible with Windows. It is recommended that you remove all references to IEMM.SYS from your CONFIG.SYS and AUTOEXEC.BAT files and use EMM386.EXE, provided with Windows 3.1, to manage memory instead. The ILIM386.SYS expanded-memory emulator, provided with the Intel Inboard/386 product, is incompatible with Windows 3.1. It is recommended that you remove all references to this emulator from your CONFIG.SYS and AUTOEXEC.BAT files before setting up Windows 3.1. Do not add or remove "joined" drives while running Windows 3.1. If you use the JOIN command before starting Windows 3.1 and do not change the state of the joined drives from an MS-DOS Prompt within Windows, Windows 3.1 will work properly. It is recommended that you do not use joined drives at all if you plan on running Windows. If you load the KBFLOW TSR utility provided by Artisoft before starting Windows 3.1, your system may fail when starting or using an MS-DOS Prompt from within Windows. If you use command-line options to load KEYB.COM, it is recommended that you load it before starting Windows. After it is loaded, you can change the keyboard configuration from an MS-DOS Prompt within Windows any time. If you do not load KEYB.COM before starting windows, you may encounter problems using a KEYB command that includes an option in an MS-DOS Prompt. However, you can use the KEYB command without options at any time to display code-page information. Lansight is a utility that you can use to control and monitor other workstations attached to a Novell network. In some cases, version 2.0 of Lansight may cause the workstation running Windows 3.1 to fail. If you load version 2.2 of the Lasertool Control Panel program (PCPANEL.EXE) from Windows 3.1, your system may fail. This program works properly if you load it before starting Windows. When using Le Menu version 1.0 with Windows 3.1, environment information such as PATH, PROMPT and WINDIR may be lost if you start an MS-DOS Prompt from within Windows. If you want to start Windows 3.1 by using a Le Menu menu command, it is recommended that you set up Windows 3.1 as a Batch-File menu command so that COMMAND.COM will load before starting Windows 3.1. For more information, see your Le Menu documentation. Version 3.3 of these programs strip out spaces from the load= command line in the WIN.INI file. Later versions may correct this problem. If you want to use CLICK and LOGIMENU from an MS-DOS Prompt within Windows, you must load the TSRs from that MS-DOS Prompt, even if you loaded the TSRs before starting Windows. When you quit Windows, you must reload the TSRs for them to work properly from the MS-DOS prompt outside of Windows, even if you loaded them from an MS-DOS Prompt within Windows. If you are using the Maximizer memory manager, you may not be able to set up or start Windows. Make sure that you are using only one memory manager with Windows 3.1. It is recommended that you use HIMEM.SYS and EMM386.EXE, which are installed with Windows 3.1, to manage memory instead. If MIRROR is loaded from Windows 3.1 by using the Run command in standard mode, you cannot remove it from memory by using the MIRROR /U command. This will cause an error message to appear. You may have problems loading this command-line editor. Also, it may cause unexpected results when running with Windows 3.1. With some older versions of NetRoom, you may encounter problems setting up Windows. In this case, contact Helix Software for a newer version of NetRoom. This disk-compression utility is incompatible with Windows 3.1 and may cause several problems. If you load version 1.0 of Anti-Virus before setting up Windows, Setup may fail. It is recommended that you contact Symantec for the most current version of this program. If the data-recovery program Erase Protect (EP.EXE) is loaded from the AUTOEXEC.BAT file, you need to disable it when setting up Windows 3.1, especially if you are upgrading over a previous version of Windows. Erase Protect tries to save copies of all deleted files, which can cause you to run out of disk space while running Setup. It is recommended that you run Erase Protect with a permanent swap file, not a temporary swap file. If you are using a temporary swap file, you need to exclude files with a .TMP or .SWP extension from erase protection. This program is incompatible with Windows 3.1 and may cause your system to fail. It is recommended that you upgrade to the most recent version of Norton Utilities to correct problems. Some versions of NCACHE may prevent you from setting up or starting Windows 3.1. When Windows is running in standard mode, your system may fail, especially if NCACHE is set up as an EMS cache. Setting up NCACHE as an EMS cache is not recommended. Setting up NCACHE as an XMS cache may solve the problem. You may also encounter additional problems using NCACHE. New versions may correct these problems. For an updated version of NCACHE, contact Symantec Corporation. In the meantime, you can use SMARTDrive, which is provided with Windows 3.1. It is recommended that you do not use DISKMON version 6.01 with Windows 3.1. Do not load the PCED command-line editor HIGH. Loading it HIGH may cause unexpected results, such as system failures, when Windows is running in 386 enhanced mode. If you load this program before starting Windows, it may be unavailable when Windows is running in standard mode. PCKEY.EXE may not work properly with Windows 3.1 when you are running more than one non-Windows application at a time. It is recommended that you unload PCKEY.EXE before starting Windows. If you use PC-Kwik when Windows is running in 386 enhanced mode, make sure that you are using version 3.55 or later and that PC-Kwik is in extended memory, not expanded memory. To get an upgraded version of PC-Kwik, contact MultiSoft. Do not use this disk-cache utility simultaneously with SMARTDrive. There is no reason to use two disk-cache utilities with Windows. It is recommended that you use SMARTDrive, provided with Windows 3.1, instead. If version 1.59 of PC-KWIK is loaded before setting up Windows, Setup may fail. PC-KWIK Version 2.0 may correct this problem. This utility is incompatible with Windows. You should remove all references to it from your CONFIG.SYS and AUTOEXEC.BAT files before setting up or starting Windows 3.1. PCSXMAEM.SYS is similar to XMAEM.SYS. It has been renamed and slightly modified. It is provided with current versions of the IBM PC/3270 emulator. Windows will run correctly with PCSX2EMS.SYS if it is loaded on a computer that has an XMA board installed. Otherwise, this program is incompatible with Windows. PCSX2EMS.SYS is provided with the IBM PC/3270 emulator. If you load PC Tools DATAMON using the \SENTRY+ option, Setup may fail if you are low on disk space. Do not use the \SENTRY+ option when loading DATAMON. Do not load DATAMON after loading SMARTDrive. If DATAMON is loaded after SMARTDrive, your system may fail. See the PC Tools documentation for information about how to unload DATAMON. If you try to start PC Tools from an MS-DOS Prompt within Windows in standard mode, your system may fail. In enhanced mode, your system may restart itself. These problems also occur if you use MS-DOS commands from an MS-DOS Prompt within Windows. Version 7.0 of PC Tools may correct these problems. However, do not load DESKTOP from an MS-DOS Prompt if it was loaded before starting Windows 3.1. If you do, your system may fail when you quit Windows. It is recommended that you run DESKTOP from its PIF, provided with Windows 3.1. Setup may not work properly if VDEFEND is loaded before running Setup. You may load VDEFEND after setting up Windows 3.1. If you are printing several large documents on a network printer and run Windows Setup from the network, your system may fail while Setup is creating Program Manager groups. --------------------------- Printer Assist is a TSR that you can use to share a workstation printer with other workstations on Netware 286 and 386 systems. Some Windows applications (such as Microsoft Word for Windows) print extended characters, mixed with correct output when this program is loaded. If this screen saver is loaded before starting Windows 3.1, you may not be able to restore the Windows 3.1 screen after this screen saver appears. If you are using the QMAPS memory manager, you may not be able to set up or start Windows. New versions may correct these problems. For an updated version of QMAPS, contact Quadtel. In the meantime, you may use HIMEM.SYS and EMM386.EXE, provided with Windows 3.1, to manage memory instead. Windows 3.1 will run correctly without RAMTYPE.SYS. However, other drivers that rely on RAMTYPE.SYS will not load and applications will not be able to use the expanded memory on your system. After setting up Windows, you can use version 1.2 and later of RAMTYPE.SYS with Windows. If you are using an earlier version on an IBM PS/2 or micro-channel architecture computer and your RAMpage! board is configured for expanded and extended memory, you need to upgrade your AST RAMTYPE.SYS driver after setting up Windows. You will also need to remove the "rem" command from your CONFIG.SYS file so that RAMTYPE.SYS will load properly. This disk-cache utility will not work properly with SMARTDrive. It is recommended that you use SMARTDrive, provided with Windows 3.1, and remove all references to other disk-cache utilities from your CONFIG.SYS and AUTOEXEC.BAT files. (If this utility is detected, Setup removes it from the CONFIG.SYS file for you). Miscellaneous problems may occur when running SideKick as a TSR with Windows 3.1. It is recommended that you use a PIF to run SideKick as a non-Windows application, instead of loading it as a TSR. If SoftIce is loaded, Setup will fail when starting the Windows portion of the program. It is recommended that you unload SoftIce before setting up Windows 3.1. This program is incompatible with Windows 3.1 when running as a TSR. It tries to increase the speed of the floppy disk drives, but slows them down instead. To get the best results, use the -X option when loading SpeedFXR. This will prevent SpeedFXR from remaining in memory and affecting the speed of the floppy disk drives. Do not add or remove "substituted" drives while running Windows 3.1. If you use the SUBST command before starting Windows and do not change the state of the substituted drives from an MS-DOS Prompt within Windows, Windows 3.1 will work properly. ----------------------------------------------- Do not use this disk-cache utility simultaneously with SMARTDrive. There is no reason to use two disk-cache utilities with Windows. It is recommended that you use SMARTDrive, which is installed with Windows 3.1, instead. (For SCSI hard disk drives) - If you use the Trantor T100 driver (TSCSI.SYS), you must use version 4.33d or higher. Earlier versions identify the SCSI hard disk drive as a removable drive. This may cause problems when using File Manager, such as a system failure while formatting the drive and unexpected results when deleting files. To get an updated driver, contact Trantor Systems, Ltd. If you are running UMB PRO, you may experience problems running Windows in standard mode. In some cases, your system may fail. Make sure that you are using only one memory manager with Windows 3.1. It is recommended that you use HIMEM.SYS and EMM386.EXE, which are installed with Windows 3.1, to manage memory instead. If Vaccine is loaded, Setup fails when trying to modify the CONFIG.SYS and AUTOEXEC.BAT files. You should unload Vaccine before setting up Windows 3.1. You may also encounter problems, such as beeping, while running Windows when Vaccine is loaded. If VIREXPC.COM is loaded, Windows Setup and Windows 3.1 will fail when KRNL386.EXE performs a write operation. Also, the first time Windows 3.1 is loaded, you may be returned to the MS-DOS prompt. If Virus Prevention Plus is loaded, you may not be able to successfully set up Windows 3.1. You may also encounter problems when running Windows 3.1 in 386 enhanced mode. The Keyboard Lock program may cause Windows to fail. If this program is loaded as a TSR, Setup may fail while setting up Windows 3.1. It is recommended that you load Virusafe by using the /C- option. This option turns off the memory-change detection provided with Virusafe. Version 4.5 may correct this problem. For more information, see your Virusafe documentation. With XGAAIDOS.SYS loaded, Windows 3.1 will fail at the opening logo if you use the WIN /s option to start Windows in standard mode. XMAEM.SYS is a device which causes extended memory to act like XMA. This utility is incompatible with Windows 3.1. It is recommended that you remove all references to it from your CONFIG.SYS and AUTOEXEC.BAT files before setting up or running Windows 3.1. XMAEM.SYS is provided with IBM DOS version 4.0. Windows will run correctly with XMA2EMS.SYS if it is loaded on a computer that has an XMA board installed. Otherwise, this program is incompatible with Windows. XMA2EMS.SYS is provided with IBM DOS version 4.0.